Nissan Philippines Inc (NPI) lives up to its innovative drive with its latest offering, the Nissan Express Service. Launched at the new Nissan Sucat dealership, Nissan Express Service is designed to provide an intelligent, more focused customer engagement, promising ease and convenience to all Nissan customers. Under Nissan Express Service, Nissan promises to have the vehicle checked and PMS done within 30 minutes, or the labor fee is waived. Within that time frame, customers can expect a package of services that includes specialized tools and equipment, a coordinated two-man work process flow, and a computerized digital planning system to manage the work bay load. With online Book-A-Mechanic system, a customer can book an appointment online, and a dedicated mechanic will be on hand, together with a service bay assigned to the customer during the appointed time slot. 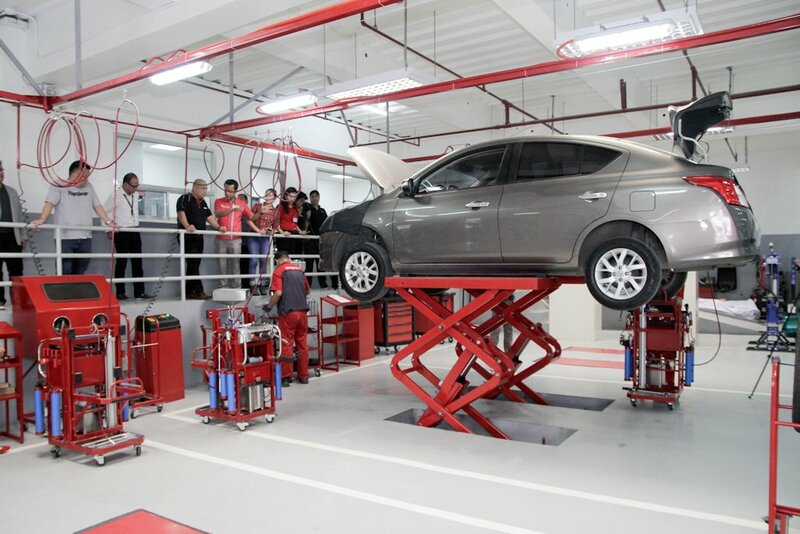 Adding to the convenience are the ways one can Book-A-Mechanic: through the Nissan Philippines website or directly calling the dealer of choice, or through the 24/7 Nissan Customer Assistance Center (NCAC) at (02) 403-6593. The Nissan Express Service is currently available in Nissan Sucat, Nissan High Performance Center in Quezon Avenue, Nissan North EDSA, Nissan Mantrade, Nissan Southwoods, Nissan Ortigas, Nissan Westgate Alabang and Nissan Shaw Mandaluyong. It will be rolled out to the rest of the Nissan dealer network within 2017.